Usually not, the value is saved to EEPROM and stays there - until the next factory reset. The build script and the Makefile on GitHub are (out of the box) only suitable for my individual installation (which is also changing now and then...) and mainly there to compile all variants in one go. I admit that it can be pretty hard to modify it to your needs, if you've never done it before. Ok! Thanks, again! You're right about the factory reset. I did that. Only because Cura wasn't able to upload the new firmware. So, long story short: Never mind! 🙂 I'll leave the compiling to the pros and download it when ready. I'm done here. Have a good weekend! 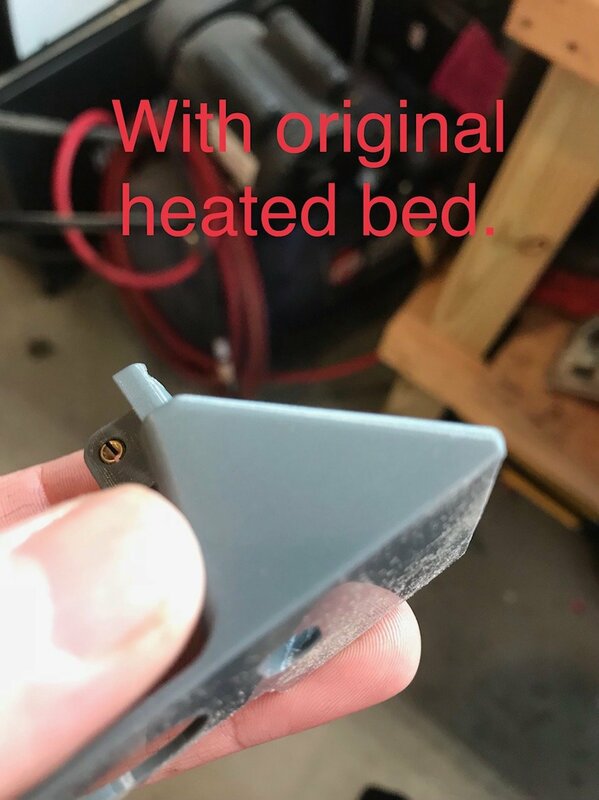 I know that it is the heated bed, because as soon as I shut it off completely the shell went back to a perfectly smooth wall. I have tried many different material, Colorfabb HT, Ultimaker ABS, Ultimaker PLA, and Matter Hackers Pro-series PETG. 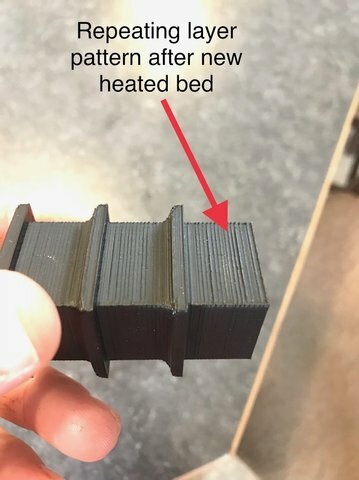 All of them have acquired this pattern ever since I changed the heated bed. If someone could help me turn on the PID controller for the heated bed, and show me how to use the auto-tune, I would really appreciate it. "Advanced -> Preferences -> Temperature control -> Buildplate"
I never used autotune for the buildplate, i think, autotune doesn't work very well on Marlin (generally) - but perhaps can you use it as a starting point. I would pre-heat the buildplate to the target temperature before starting autotune. Thank you Very Much Tinkergnome!! !